(AUSTIN, Texas – May 9, 2018; source: Juice Consulting) – Co-founder of Austin-based band Soul Track Mind Jonathon Zemek announces a multimedia project depicting a fictional coming of age story entitled “Hillcrest.” The project includes an album featuring Guy Forsyth, Malford Milligan, Matt Smith, Andrea Lindzeyand Roderick Sanford who all portray the vocal characters in the story of “Hillcrest,” giving voices to the art of an accompanying comic book illustrated by local street artist Chris Rogers. Both the album and the comic book are set to release Sept. 21, 2018 with an official release show that evening. Details for the show are to be announced. For more information, please see here. Zemek began working on “Hillcrest” in 2016 at the conclusion of his band, Soul Track Mind. Zemek sought to fuse music and art into a larger project of different mediums, deciding to tell a fictional coming of age story about a boy named Peter through an album and illustrating that story in comic book form. Crafting the plot of “Hillcrest” took over a year, with Zemek and producer Matt Smith working together to intertwine the music and narrative in an impactful way. 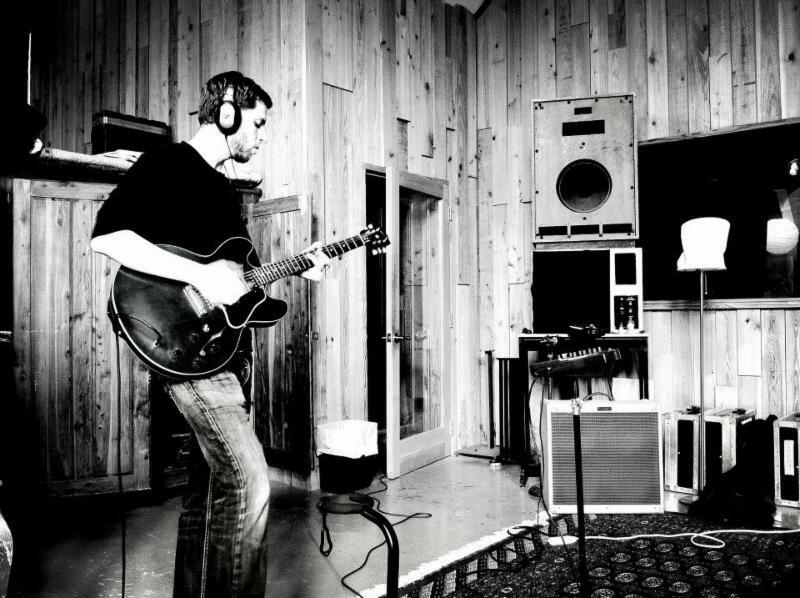 Zemek wrote all the songs for “Hillcrest” and subsequently teamed up with Smith for the recording process at Lost Oasis Studio in Austin. Zemek called upon local renowned musicians to help give voices to the characters of the story, the townspeople of “Hillcrest,” that play large parts in Peter’s story. Guy Forsyth, Malford Milligan, Matt Smith, Andrea Lindzey and Roderick Sanford joined Zemek in the studio to lend their voices to members of the town in “Hillcrest.” In addition to the featured vocalists, Austin musicians Alex Felan, David Webb, Doug Leveton, Ben George, Zach Buie, Jon Merz and Brian Austin appear on the record, providing instrumentals to the songs. Zemek also teamed up with Chris Rogers, a muralist named the “Best Street Artist” in Austin in 2015 by the Austin Chronicle, to create the artwork for the story of “Hillcrest.” Rogers’ vivacious, unique style caught Zemek’s attention, and the passion Rogers put into the “Hillcrest” project shows how perfectly music and art work together to be a vehicle of storytelling. Rogers applied his signature style to comic book form, bringing alive the characters of the story in his and Zemek’s artistic vision. “Hillcrest” was recorded at Lost Oasis Studio in Austin and mastered at Terra Nova Studios, also in Austin. The album and comic book will be available for pre-orders soon, with a multimedia release show in September. To learn more about “Hillcrest,” please see here. Born and raised in Binghamton, New York, Jonathon picked up the guitar at 12 years old. Under the tutelage of local Binghamton guitar legend Roy Ettinger, Jonathon began learning the craft. In 2006, Zemek moved to Austin to pursue music and soon after became the co-founder of soul-funk band Soul Track Mind. In the band, Zemek experienced years of successes which included playing Wakarusa Festival, playing multiple SXSW Showcases, winning the Louisiana Music Prize in 2014, performing at the 2015 Texas Governor’s Inaugural Ball and sharing bills with David Crosby, Enrique Iglesias, Tower of Power, Pat Green and Lady Antebellum. Soul Track Mind was also featured on the cover of Texas Music Magazine and written about in many publications including The New York Times, The Huffington Post, the Austin Chronicle and others. Since 2016, when Soul Track Mind concluded, Jonathon has been busy with a host of new music and the multimedia project “Hillcrest.” In addition to writing songs and performing, Jonathon spends time working with and helping out musicians through his company Zeda Royal. Zemek also works with All The Stars, an opiate and substance abuse organization. Jonathon is a voting member of the Recording Academy and is an active participant in their yearly music advocacy efforts. He currently resides in Austin, Texas.